Are you ready for your Matric dance night? As you know, it’s the night where you get the opportunity to shine. And we at Rosenwerth truly understand how special the experience can be for most girls. 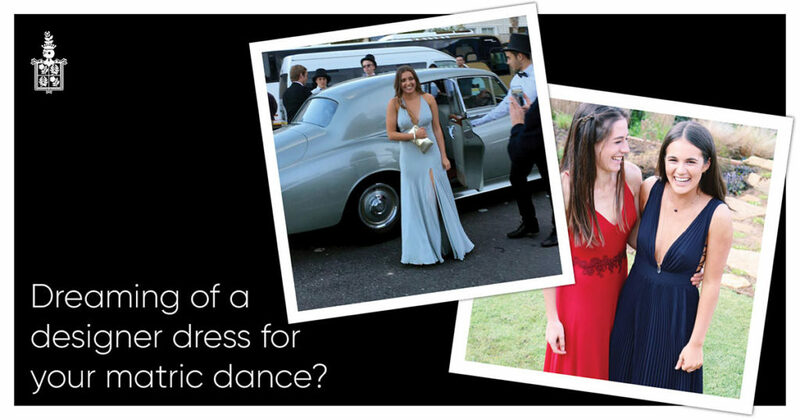 Thus, we are sharing these four steps on how we can help you achieve the matric dance dress you have been dreaming of. Gabi knows that most girls have been dreaming about that perfect matric dance dress since they started high school. In fact, you may even have an actual picture of your dream dress. Therefore, the first thing that Gabi will do is to discuss with you your own style and design preferences. Bring your pinterest boards, magazine clippings and even sketches if you are creative. If you cannot decide just yet, we will ask you to fit on different dresses, and perhaps a variety of full slender skirts. Gabi will also guide you in checking the different color options that can work well for the design that you want. Gabi will make sure to adapt to your own design ideas while also assisting you in choosing the most flattering dress. To ensure that your dress fits perfectly, Gabi will take proper measurements – bust, waist, hips and high hips. The next step is to decide on the fabric that will be suitable to your dress. Gaby will meet you in one of Cape Towns’ best fabric stores to run through a variety of options. You can choose your own fabric, but Gabi will offer suggestions which fabric matches well with the style of the dress that you have in mind. She’ll also offer suggestions on the color and pattern that will work best for the dress. Once these decisions are made, this is also the time that you will receive the final quote for the overall price of your dress. To ensure that you will have the most flattering dress on your Matric dance night, Gabi will be having two fittings. The first fitting is the mock up of your dress, which is the actual design, but not in the final fabric yet. This will be in a simple fabric that called calico. This will make it easier for all of us to check if the dress has the proper fit, shape and style. If needed, the necessary adjustments can still be made now. Finally, this will be the part where you get to try on the actual dress. This is your chance to see if your dress is in order and if it was made in accordance to your dream. All dresses are made meticulously with utmost precision and care, and there will only be one like yours, from the hand of a fashion design icon in Cape Town. Now go shine in your Rosenwerth and have the night of your life! Contact Gabi now to make an appointment. This entry was posted in Dance dresses. Bookmark the permalink.